146 p., 18,1 x 25,4 cm. 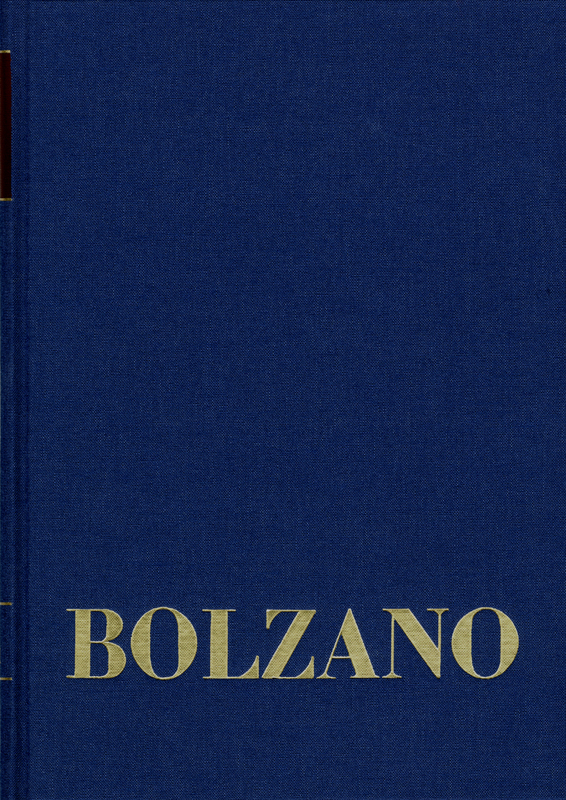 In the 14th volume of the diary entries between 1803 and 1808, Bolzano deals in detail with subjects pertaining to education and psychology, epistemology, ontology, logic, theology and moral philosophy. Among other things, he discusses the distinctions between a priori and a posteriori judgments as well as between analytic and synthetic judgments, the concepts of cause and effect, as well as syllogistic proof. In addition Bolzano studies duty, virtue, happiness and the immortality of the soul.